While construction workers lug hammers and wrenches in metal tool boxes to erect new houses, Alisha Burch often hauls an equally heavy load — her traumatic childhood memories — in her mental toolbox as she helps build new parenting skills in homes throughout the Antelope Valley. When she meets a new mother enrolling in the Antelope Valley Partners for Health (AVPH) Healthy Families America (HFA) Home Visiting program funded by First 5 LA, Burch often sees parts of her own past reflected in her client’s current situation, which may include struggles with poverty, stress and trauma as they raise a newborn. Then, when Burch was 14, she found Rease dead in her bed. Despite these hardships, Rease’s positive influence stayed with Burch. Initially, Burch thought she would grow up to become an elementary school teacher. Two and a half years ago, she became a home visitor. “My experience as a child and as a mother shows me how important and valuable the home visiting program is,” Burch said. In the voluntary, free home visiting program, Burch works with families in weekly visits during the first six months after birth of a child to provide valuable information, support, and services in the home to ensure that newborns get the best start in life. Mothers who are pregnant and plan to deliver at one of 14 participating Welcome Baby hospitals in Los Angeles County may qualify for a home visiting program. First 5 LA funds Welcome Baby and Select Home Visiting programs like HFA. The work can be challenging from the moment Burch walks through a client’s front door. Among her most challenging moments was during a home visit with a mother of newborns who would not stop crying. Burch gently reminded the mom that her babies needed touch and affection to help them regulate their heightened state of emotion. Finally, the mother picked her babies up and disappeared with them into another room. She returned a few moments later without the infants . . . who were left crying in the other room. This realization helps bolster Burch’s belief in helping parents and their babies through home visiting. 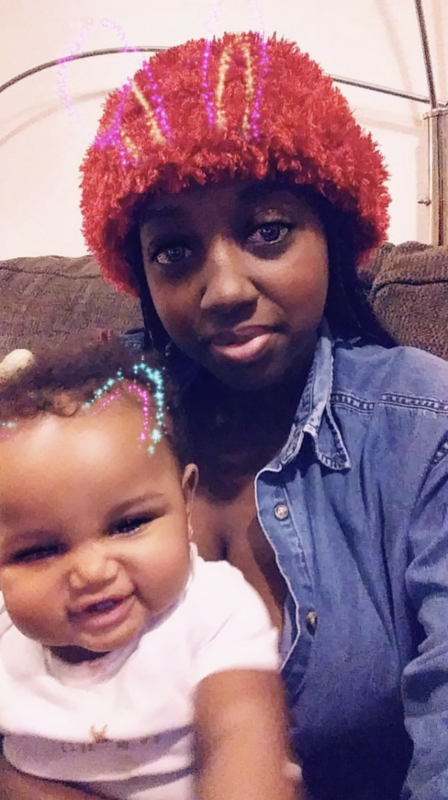 Like Eniya Watson-Ali, 22, of Palmdale, who was facing a slew of challenges: her baby’s father left her four weeks into her pregnancy, she could not find a job and she was living with her mother. And when her daughter Nielah was born last July, Watson-Ali initially said no to breastfeeding because everyone told her it was painful. But Burch and Watson-Ali’s mother encouraged her and though it was, indeed, painful for her, Watson-Ali powered through it with Burch’s support. “She would say ‘Just don’t think about the pain. Think about all the nutrients you are giving her. She’s going to be real smart.’ So I kept going,” Watson-Ali recalled. During Burch’s weekly Wednesday visits, Watson-Ali also learned about oral care for her daughter, how babies’ brains work, and the importance of reading to and playing games with her. And gradually but surely, Burch was helping Watson-Ali boost her own belief in herself. When Watson-Ali wanted to find her own place, Burch served up a number of resources and plenty of encouragement. Watson-Ali and her daughter moved into a new home together in January. As someone who was removed from her own mother, these words carry a lot of weight with Burch.